Adventures should never be lost at any age. Beautiful, sweet Abby has autism, yet is more tuned in to her surroundings than anyone Michael Anthony Cillo knows. In Abby’s Tails, Abby finds glorious moments with animals. She steps out of her hidden, secure self to become part of adventures. Abby lifts all friends around her with her joyous spirit. That joyous spirit is there in real life within Abby and most autistic children, but finding a way into her world takes some loving patience. Cillo wants his readers to really understand the blessings that can be received from our special needs society. Like Cillo, many will find themselves enlightened to the riches of that understanding and those lasting bonds of friendship! Michael Anthony Cillo has been married to his wife, Debbie, for thirty-seven years and has two adult sons, Brady and Garrett. He enjoyed a childhood of adventures in nature. He had three brothers very close in age which meant scores of playmates always wanting to do something creative and adventurous. He remembers climbing to the top of the trees in the wooded pines… and then crossing hundreds of yards across the treetops of those trees, jumping or diving from tree to tree. He recalls swimming in the large community pond not knowing until later years that the snapping turtles living within had been the size of small cars! Cillo grew up playing sports. He especially enjoyed gymnastics, eventually coaching numerous sports at every level including college. He found a true love in helping others to learn and became a public school teacher. He has been in the profession for nearly four decades. He’s done numerous mission trips in the U.S. and Haiti. The creation of Abby’s Tails comes from a fondness of working with special needs children and families. 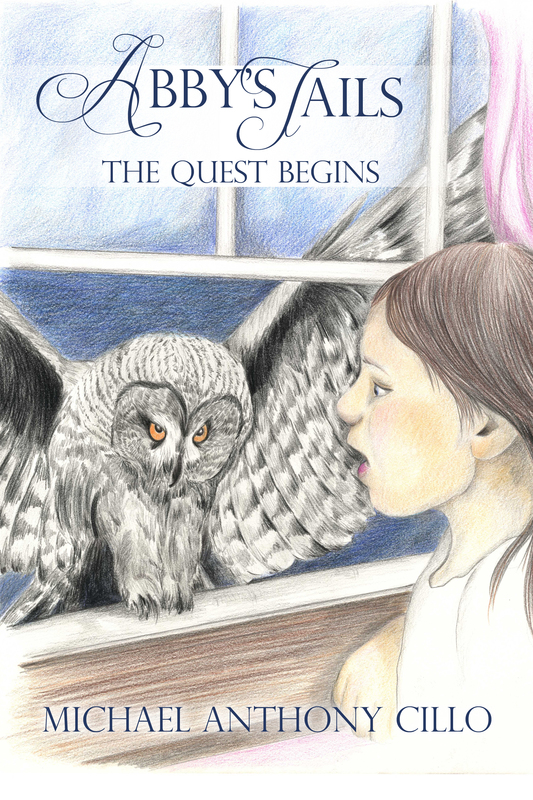 Abby, the main character, was developed from a friendship with a young girl and her family. Abby has the most extraordinary relationships with all animals she meets in real life. She inspired Cillo to pull from past and present adventurous memories to put together some whimsical tales. This is the first book of Abby’s Tails, with many more to come! Absentee Dads! Â Can their children break the cycle?